Here is THE house that will put an end to your hunt. This COMPLETELY RENOVATED 3100 sq.ft. family home has 5 bedrooms & 3 full bathrooms. Everything from the ground up has been meticulously updated. Waterproof and life proof Luxury vinyl plank flooring has been installed throughout all the main living spaces, bathrooms, & master bedroom, capped off by extra tall 6” baseboard moldings. *SPARKLING* QUARTZ countertops, shaker style cabinets, & brand new Samsung appliances highlight the incredible kitchen. The living room has vaulted ceilings and wood stained beams to match the mantle on the wood-burning fireplace. Double doors lead you into your master suite, which overlooks the tranquil pool area. There is a huge walk-in closet, and the master bathroom features a shower stall with a frameless glass shower door and a roman soaker tub, both of which have been updated with marble look tiles. Outside there is a beautiful re-tiled and re-surfaced pool with a SPILL-OVER, a large covered lanai with an outdoor kitchen that has large granite countertop & a bar sink. The entire yard has fresh sod, and the backyard is completely fenced in. Ridgemoor is one of the most desirable areas to live in Pinellas county, with its amazing walking paths, nature, parks, playgrounds, basketball/tennis courts and its A rated schools. 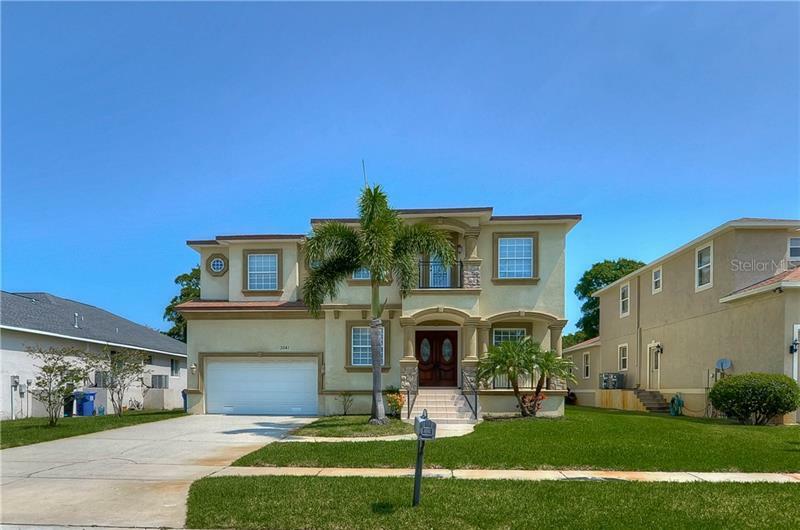 This home sits within the gated neighborhood of Briarwick. One look and you will fall in love and decide to make this your home. Move right in and start decorating, nothing left to do here!